Shayla was such a joy to work with! I am so glad I hired her! She was very quick to respond to emails and so kind in her correspondence. Shayla was accommodating and had a great suggestion for my trial hair and makeup and waived her travel fee when we couldn't do it during a wedding planning trip and instead suggested we do it on the day of our rehearsal dinner, so I had beautiful hair and makeup for that event and I hadn't even thought of that idea. She also did all of the hair and makeup for my bridesmaids, personal attendants, parents, grandparents, and flower girls and she knocked it out of the park on everybody. My hair and makeup looked flawless in all of my photos, which last a lifetime. I am forever grateful for this sweet, talented, and hard working soul entering my life. I am beyond thrilled with how gorgeous Shayla and Rayelle made myself and my bridesmaids look. We all felt glamorous! Having our hair and makeup done at the venue was so perfect. 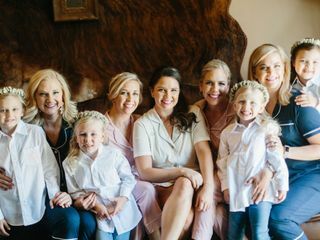 My wedding was up in the mountains outside of Helena and they were on time and had 6 of us ready with full hair and makeup on plenty of time. I didn't have my trial until the day before the wedding, and I was a little worried I would hate everything because I have never had my hair and makeup done. I was worried I wouldn't look like me. Shayla completely put my fears to rest! She completely understood the look I was going for and made it happen. I felt absolutely gorgeous but still like me. Oh and I danced my face off and my makeup didn't budge. Flawless the whole day and night! Please do yourself a favor and have Beauty and the Belief do your hair and makeup for your big day. 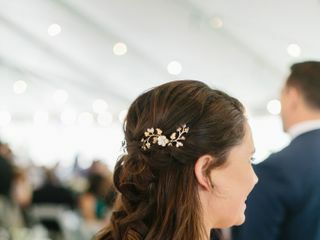 Shayla did an amazing job on hair and makeup for my July wedding! I felt beautiful and my mom and sisters looked incredible. My mom looked 20 years younger! Shayla is so sweet and immediately makes you feel calm and confident - I highly recommend her for wedding hair and makeup! Shalya did my hair and makeup for my wedding in July 2016. In addition to listening to how I wanted my overall look to be, she provided suggestions that improved my look. I was very indecisive about my makeup and Shalya was patient and understanding and worked with me until I was totally satisfied. In short, she is awesome and very talented.